With more than ten years experience in the online casino industry as both players and online casino providers, the brains behind Royal Panda know just how important the player experience is. Royal Panda has been created for players, by players who have a passion for online casinos, promising the best games, the best promotions and the biggest jackpots. Combine this with first-class customer service and you have a royal recipe for success. You can expect a warm welcome when you play online casino games at Royal Panda. They are so confident in their online casino experience that they offer one of the best welcome bonuses we’ve seen in all of our time reviewing online casino and slots providers. Royal Panda will DOUBLE your first deposit up to the value of £100! Sounds good, doesn’t it!? Rather than being a subsidiary of another larger online casino provider, Royal Panda is owned and operated by Royal Panda Limited, which is licenced and regulated by the Malta Gaming Authority (MGA) and the Gambling Commission (GC) in the UK. Royal Panda described itself as, “internationally focused, but with a very strong local touch,” which comes across when delving more deeply into Royal Panda. 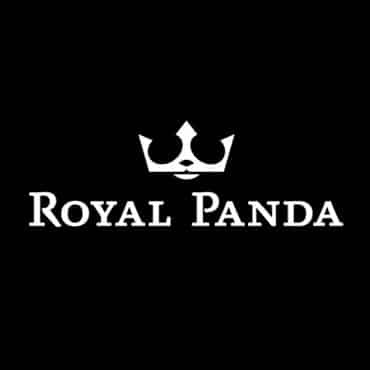 Royal Panda promotes quality over quantity which is highlighted when we compared the number of games offered by Royal Panda to some other online casinos. With just 300 games on offer, this could be a slight disadvantage for some players. Whatever your gaming style, you’ll still be spoilt for choice when you play live casino games at Royal Panda. 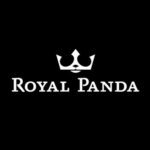 Read on for our in-depth online casino review of Royal Panda. We’ll explore the fantastic Royal Panda casino welcome bonus in more detail and find out more about the excellent customer service offering. Royal Panda is fully licensed by regulatory bodies in the UK, Germany, Sweden, Spain, Portugal, China, Finnish, Norway, and Japan. The Royal Panda online casino website is available in all of these languages, which means that players from all over the globe can play together, safe in the knowledge that everything is legal, regulated and safe. Offering more than 300 handpicked online casino games, the selection of games at Royal Panda is smaller than most online casinos, however, when you play the games, the quality really shines through. The live casino games have incredibly smooth gameplay and realistic sounds. It’s clear to see the care and attention taken by Royal Panda to source the best live casino games. The Royal Panda welcome bonus is one of the most generous promotions we have seen! Offering to double every new player’s initial deposit up to £100! While wagering requirements and terms and conditions apply to this, Royal Panda has made this very easy to understand in their terms. The Loyal Panda Programme is something completely new and innovative. To reward loyalty, online casino players earn points each time they play a game. These loyalty points can be redeemed within the Loyal Panda section of the website. Of course, you can redeem these points for free spins and extra wagers, but there’s also the chance to get your hands on the latest tech and Royal Panda branded merchandise! As mentioned previously, Royal Panda’s online casino game selection is slightly smaller than we have seen within some other online casino sites. The quality of the games at Royal Panda is second to none, only handpicked live casino games and the best online slots make it onto the Royal Panda. The game categories are easy to navigate, with neatly organised categories for all of the online casino games available on Royal Panda. Video slot games and video poker feature heavily in the line-up alongside the more mainstream table games and online slot games. There’s even a handy ‘most popular’ category, so if you’re in a hurry you can quickly find a game that others are playing, too! The Live Casino game section is nicely segmented, including Royal Panda’s own offering of Live Roulette and Live Blackjack. This section of Royal Panda’s website is very easy to understand. A lot of thought has gone into the layout of the information displayed here, again showing that the people working behind Royal Panda understand what players want! Deposit methods are clearly displayed. There are over 20 different ways to deposit money into your Royal Panda online account. Each payment method is explained clearly within a simple description. You can toggle between the deposit and withdrawal methods making it easy to pick the payment method that’s right for you. One of our favourite features of Royal Panda is the brilliant welcome bonus offered to all new players. You’re even reminded to claim your welcome bonus multiple times during the account registration process. We’ve mentioned the Loyal Panda Programme, which is also a fantastic selling point for Royal Panda. Royal Panda also offers bonuses to other established players. The promotions section of the site is clearly highlighted, offering different bonuses for different games. It’s important to check this section of Royal Panda regularly, which is another fantastic reason to keep it bookmarked for future reference. You’ll get 100% of your first deposit back, up to the value of £100. If slot games are your thing, then you can get lots of free spins from Royal Panda. The amount and frequency differ from game to game, so it’s worth checking the terms of the game you’re playing. If you win using your free spins, the amount would be added to your account as a ‘bonus’ meaning that in order to withdraw, you have to adhere to the wagering requirement (it’s 35x for Royal Panda slot games). Did you know: There’s no need to make a deposit in order to claim your free spins from Royal Panda! Spin Bonus Top Tip: Keep an eye on Royal Panda’s Facebook page for new game releases. For customer service fit for royalty, look no further than Royal Panda. Players are treated to flexible customer service in the form of live chat, email, and phone. There is also an in-depth FAQ section. The customer service section of Royal Panda overlays the main website, which means you can ask questions and get help all while continuing to play your online casino game in the background. As we have mentioned a few times throughout this review, the user interface has been carefully designed throughout the whole of the Royal Panda online casino site. With easily navigable sections, through to the online game categories you’re never more than a couple of clicks from where you need to be. The website design does look slightly dated when compared to some of the more modern designs seen on other online casino sites, but it is so easy to navigate that the fonts, colours and page layout is easily forgotten. With just 300 games, you can be sure that the games offered by Royal Panda have been carefully curated to provide the best gaming experience. With their own branded live casino games and a strong collection of online slots and table games. The mobile casino offering at Royal Panda is pretty good with 170 games available on mobile devices, including online slots, roulette, and blackjack. There are even a couple of live casino games available on mobile and tablet devices! The most popular games at Royal Panda include Guns N’ Roses, Mega Moolah and Centurian, to name just a few. Some of these games have HUGE progressive jackpots (the overall jackpot stands at a staggering £30 million! ), so there is some real incentive to play online casino slots at Royal Panda!